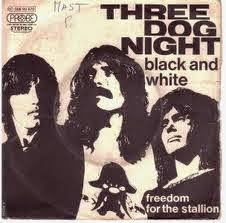 I played “Black and White” by Three Dog Night as soon as I got to my office today. It’s a good song, by a band that really doesn’t get their due as far as being tuneful craftsmen. The song reached No. 1 in 1972 when many euphorically believed we were on the verge of an era when race no longer mattered. It was written, I learned, in 1954 by David I. Arkin and Earl Robinson to commemorate the Brown v. Board of Education court decision outlawing racial segregation in public schools. I have no way of knowing, but I’m going to as balm for my frazzled soul believe that Arkin was black and Robinson white. It is contradictory for me to hate people who hate? Perhaps. I’m hating the blacks who are rioting in Ferguson and I’m hating the whites who are gloating that officer Darren Wilson isn’t going to be charged in the death of Michael Brown. I have mixed feelings over the whole thing. On the one hand, I can understand blacks being outraged over yet another youth getting gun-downed by a white man who shoots with impunity. On the other hand, the officer’s testimony seemed mostly credible. Of course, you’d never know it from the pictures that he’d been in what he considered a life-and-death struggle with an unarmed assailant. I get more beat up tussling on the waterbed with my 8 year old daughter. I wish more people would stop looking at all the black and white issues like everything was so black and white. Honest, I felt terrible I’d disappointed even one reader. And, really, isn’t that a wonderful thing? To have people take time out of their busy day to read something you’ve written in the expectation it’ll make them laugh? I’ve really tried to adhere to that ever since. So I try to leave all the dark cloud stuff to the paid pundits and Facebook savants who seem intent on using social media for anti-social means. Very sloppy. Worse, I didn’t notice it until hours after it’d been posted and I could not access a change. And no one mentioned it. Please feel free to point out my errors. It won’t hurt my feelings. In fact, I’m considering including at least one whopper typo in each post and hosting an ad hoc contest to see which reader can find the most goofs. That would clear up a lot of copy. In addition, it would provide me ample cover any time I made numbskulled typo or two by allowing me to say they were deliberate. • I thought the other day about how my greatest achievement over the past six difficult years is how I never became an alcoholic, took anti-depressants, had a mid-life crisis or just gave up. In fact, in the face of the worst stretch of time ever to befall my profession or me personally, I did the exact opposite. 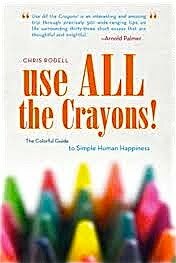 I created and maintained a blog enjoyed by many people and wrote a book that advocates facing every challenge with cheerful perseverance. I did this when many days I woke up and thought, “What would it really matter if I just gave into hopelessness and spent the day getting good and drunk?” It is, to me, a true accomplishment — just not one I’d ever dream of bragging about to my wife. • Two years after I should have done so, I’ve finally achieved an admirable YouTube portfolio to show prospective bookers looking for an entertaining speaker. Here’s the most recent. It’s from last week when I addressed about 20 Blair County librarians. I took my whole 45 minute appearance and edited it down so it’s just about 3 minutes of punchlines and laughter. I’m hearing it’s very effective. My favorite part, of course, is the last minute when I use archival Beatlemania footage at the end to simulate the ovation. That stunt was born out of necessity. The camera did cut out at the end, which is fine. This is much better. Trivia: the last speaker talking about getting a free drink is Groucho Marx. • These have all been slapdash hack jobs of my own. Very amateurish. Yesterday, my friend Brian Henry, a Trib photographer spent the morning with me and shot what will be a very professional-looking YouTube promo that ought to wow. This will be a Cadillac, compared to all the ones I’ve shot which if compared to a Cadillac will look like little cars you seen the circus clowns use. • If gas prices were pushing $5 a gallon, many of my idiot friends would be blaming President Obama. How come no one’s giving him credit when it’s gone so far in the other direction? Me, I never credit or blame the Commander-in-Chief for gas prices. I’m wise enough to know gas prices are set by whether or not there is any turmoil in the Middle East. With gas below $3 a gallon almost all over America, it’s obvious that today the Middle East is a bastion of peace and stability. Right now everyone wants to hear from Cosby. Me, too, just not Bill. I’d love to have a candid conversation with Mrs. Cosby. I might write about that next week. (That last word is an example of a deliberate typo). Too much Zimmerman commentary: here’s mine! I knew I should stay away from FB. I knew it and I went anyway, knowing the crazies would be out in force with memes on their news feed copied from 'America Strong,' 'Christian America,' and 'Take Back My Country,' filled with all the vitriol and hate one could possibly squeeze into a 2" by 2" plot of stationary. The looting is stupid and dangerous but no more than an unarmed man being shot in the street. I can't justify either. Oh, Holly, it's appalling. You're right on the money. The glee so many express on Facebook appalls. No one wins here. We just ensure we all lose again the next time it happens, which I guess will be in Cleveland in about a year. Thanks for taking the time to read and comment! Happy Thanksgiving! Parade aftermath: what happens to all the helium? Results from my first physical . . . in 18 years!